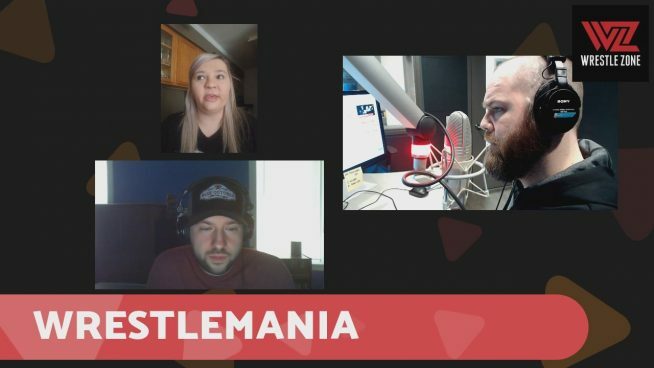 WZ Daily Podcast: Hours Of WrestleMania Hype! Fans Sound Off! Here is HOURS of free audio for you to snack on before today’s WWE WrestleMania mega-show from MetLife Stadium. 101WKQX’s Kevin Kellam was joined this week by several wrasslin buddies including the returns of beloved co-hosts Rober DeFelice and Jon “Jinx” Jansen. Plus listen to the DeAngelo Brothers talk their ‘Mania thoughts and a lookback at the classic WrestleMania XIX on ‘Get the Tray Tables’. Plus an EXCLUSIVE backtstage interview at Madison Square Garden with the new ROH World Champion Matt Taven following last night’s ROH / NJPW G1 Supercard. Keep an eye on FB,com/wrestlezonecom for more exclusive live video content and audio all day!